Ntombenhle Khathwane, founder of AfroBotanics. “I have often thought that if I knew what I know now, there’s no way I would have gotten into entrepreneurship. It is a very, very difficult road and I picked a difficult sector,” says Swaziland-born entrepreneur, Ntombenhle Khathwane. 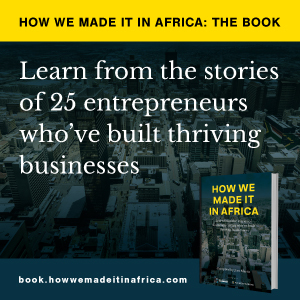 About five years ago Khathwane decided to start manufacturing hair-care products to specifically treat African hair – using natural botanical extracts from indigenous plants such as aloe vera. Today her AfroBotanics product range can be found in select stores of two leading South African retailers – hypermarket Game and the country’s second-largest grocer, Pick n Pay. While this only includes 40 Game stores and 100 Pick n Pay outlets (three of which are in Zimbabwe), the plan is to expand as her brand gains traction. She is also in talks with a third major retailer about testing her product. However, she has learnt that introducing a new product into the market is no easy business. Khathwane left Swaziland when she was 13 to complete schooling in South Africa and fell pregnant at age 16. She managed to complete her university studies in politics and philosophy, but took a job working for government in the town of Nelspruit immediately after graduating to ensure financial security for her daughter. She then spent the next eight years working in various government jobs – until she got bored. One of the things Khathwane wanted to change was the high unemployment rate in Mpumalanga province, of which Nelspruit is the capital. She dreamt of creating hundreds of jobs by opening factories, and decided to venture into the world of manufacturing. Her first idea was to manufacture asphalt. But after drawing up a business plan, discovered this would require around R30m ($2.1m) start-up capital. It wasn’t until she visited her grandmother in Swaziland that Khathwane got the idea to manufacture hair-care products. Her grandmother asked her to help apply a homemade lotion to her hair and Khathwane was surprised to find that natural extracts sourced locally could make her hair feel soft. When Khathwane got home she contacted a professional formulator for help with developing a product she could bottle and sell. In 2010 she entered a business plan competition, Pitch & Polish – which she won, along with a trip to the US to meet with industry experts who could advise on product development. By end of 2011 Khathwane had developed her formula, tested it and was ready to manufacture. She withdrew her entire retirement savings of R240,000 (around $17,000) to pay a factory to manufacture her first stock, and then quit her job so that she could focus full-time on her business. However, Khathwane struggled to sell her product. In 2012, she ran out of money and was left with nothing but a stock of unsold products. But Khathwane did not give up. She moved to Johannesburg and started contacting key retailers such as Clicks and Dis-Chem – but was told she first had to develop brand awareness before they would stock her products. Her solution? She launched an online store to both sell her products and publish articles and advice about hair care. She also sent her products to popular beauty bloggers to review. But the breakthrough happened when she convinced her sister to give her products to Khanyi Dhlomo, a South African TV personality and owner of Destiny Magazine. Two months later Khathwane’s products were featured in its pages. By the end of 2013 her online store had gained some traction. However, large retailers still refused to stock her products. “But I kept on knocking on their doors. I made a point that every six months I would go back to these big retailers,” she recalls. In 2014 Khathwane was selected to appear on a Standard Bank-sponsored TV show called Think Big to compete for R1m ($70,000) business financing. While Game agreed to stock the AfroBotanics product range in October 2014, Khathwane only decided to start her three-month trial in November 2015 when she felt fully prepared. Having noticed a number of beauty brands in the US often used celebrity endorsements to gain traction, she approached a South African radio and TV personality, Pearl Thusi, about a similar partnership. Thusi, who is well-known for her natural hair style, liked the idea and together they developed the Black Pearl Collection. It took off. Game quickly agreed to sell the products in 40 stores while Pick n Pay signed a contract with Khathwane for 100 stores. And her factory currently produces 2,000 bottles a week. Khathwane hopes to see her products in the stores of every major retailer in South Africa, as well as neighbouring markets. While she still has some way to go, she’s also exploring other opportunities – such as manufacturing shampoos and body washes for the hotel industry. “As a novice it has really been a hard, bumpy ride. Entrepreneurship is not the glamour that many people think it is. Money doesn’t come in as fast as you think it does – especially if you don’t have enough to start off with,” she adds.